I was the boy on the bike…. a friend of my Father pulled up in a new 911 (930) turbo back in 1976, it looked like it came from outer space. I loved motorsport so naturally supported Porsche even when I should have been concentrating on other things at school. Once I started driving (legally) I wanted cars that could take my youthful excesses…..Porsche could, my first was a 78 924, great chassis and strong, then 924 Turbo, and my first 911, a 2.4 T targa. Skip forward and I was making progress rallying, then racing…I love driving and that where Porsche excel. It’s also something we as a company are particular with, that the cars must drive properly. Tarted up wobblers are not for me. Having gone from doing everything in my business to delegating tasks I look at some of the projects we undertake and wish I could get the spanners out! 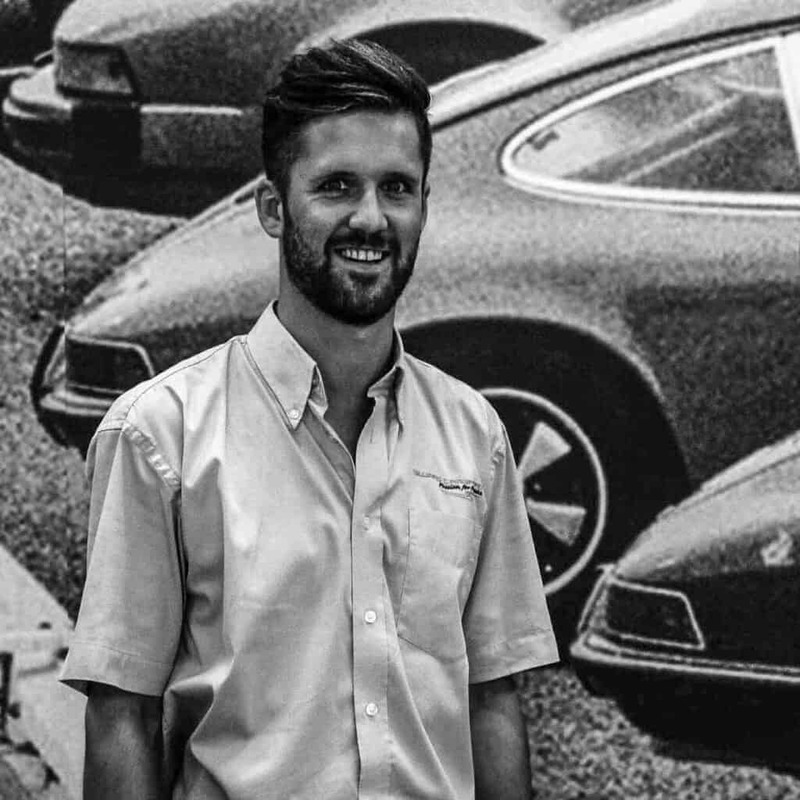 I love seeing the creation of restorations, I love helping create the bespoke Porsche, but most of all, I love the genuinely nice folk, that share my Passion for Porsche, coming through the door or calling…..it feels like we are all aiming for the same thing. The enjoyment of a Porsche. I grew up in my family’s garage business, with cars in the blood. 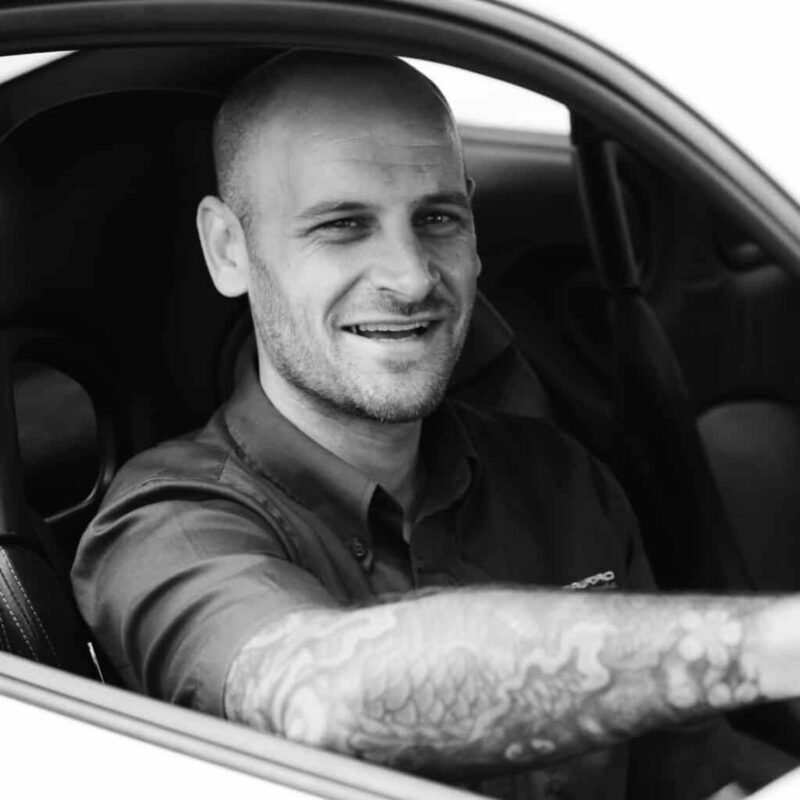 Prior to joining up with Adrian and growing the business to the level it is now, we actually did the maintenance of his Porsche’s. Doing that maintenance, testing them, delivering them gave me the introduction to the Porsche brand, the driving appeal and the quality of engineering. I learnt to really appreciate the Porsche marque. Joining forces brought another revelation, what nice people we deal with. This is a superb business in that we have a fabulous product, lovely customers and get to enjoy all manner of Porsche, from the 50’s through to new. Its a dream. 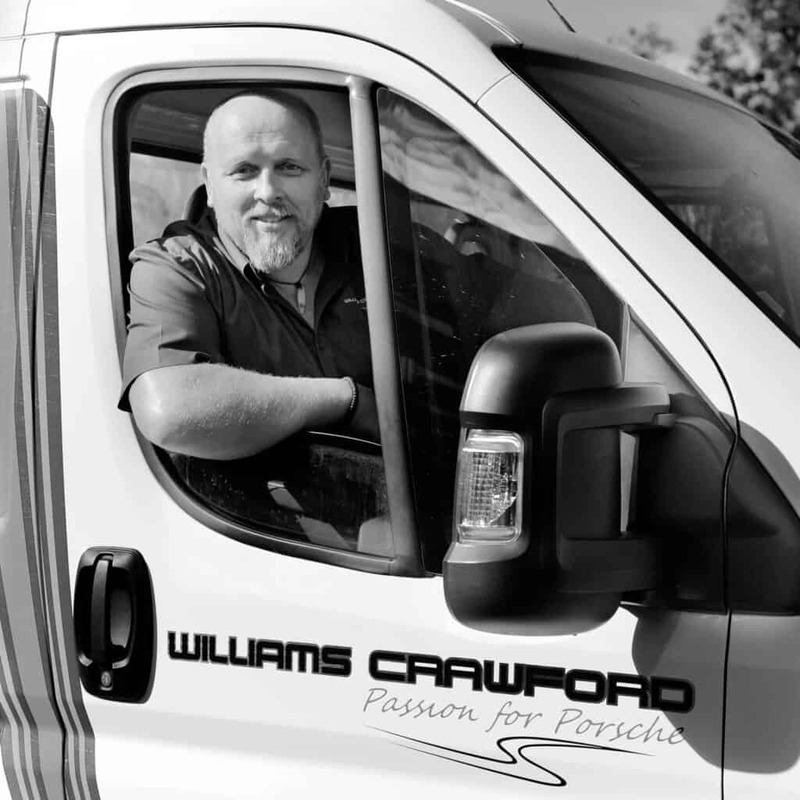 Dale has been with Williams Crawford ever since the business consisted of Adrian, a PA and a mechanic. 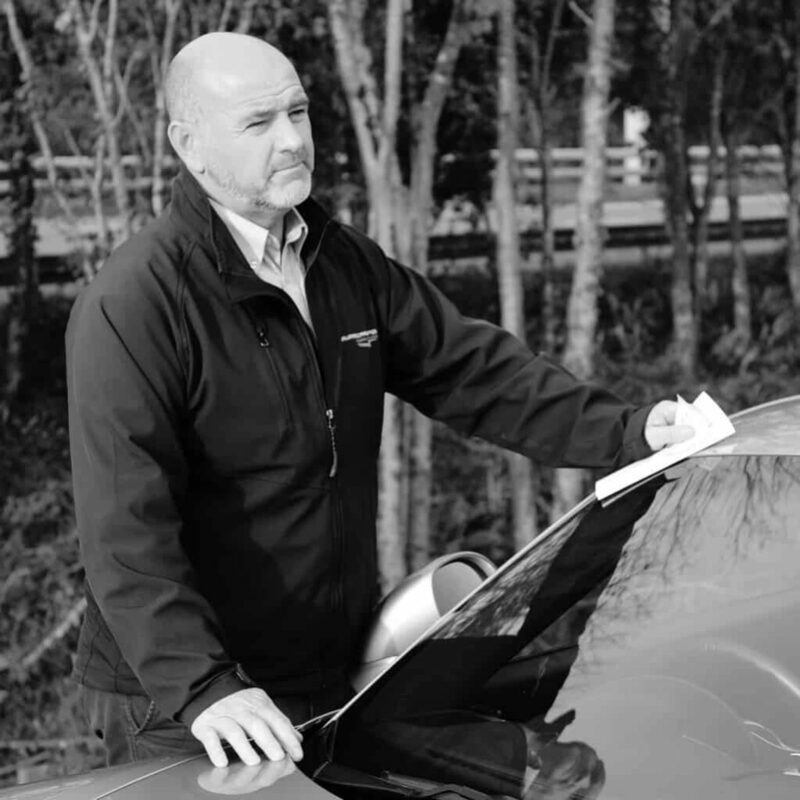 You might speak to him about a sales car, or selling your Porsche; he has a great technical knowledge and inspects and manages the new stock. A 993 Carrera 2 S in Ocean Jade metallic with a classic grey leather interior would be his dream Porsche. 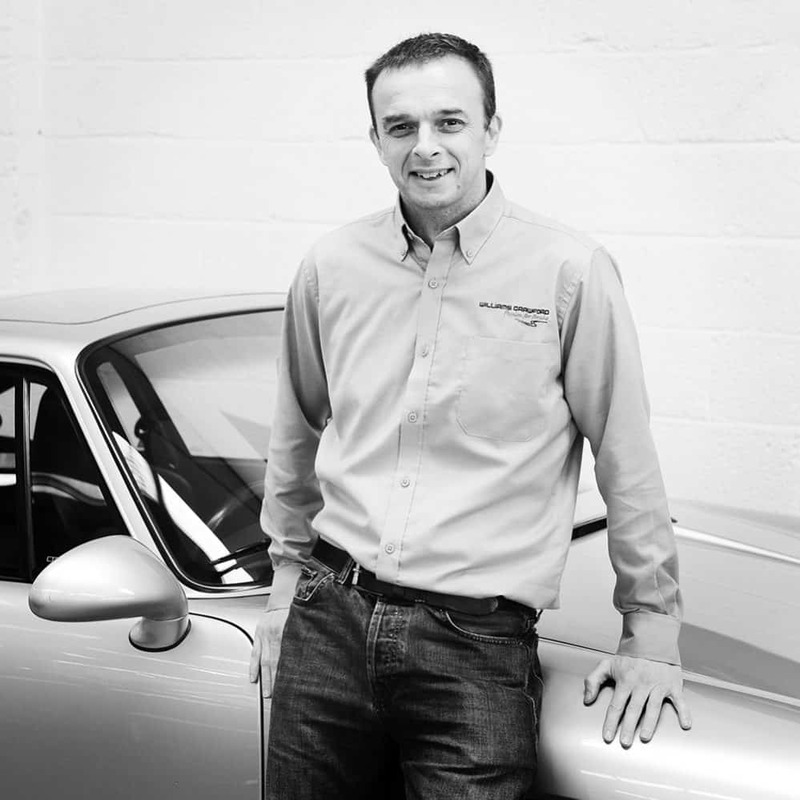 Andy is a Porsche owner, a real car enthusiast and has been selling cars, vehicles and machines all over the world since 1995. He’d love a Cayman GT4, a 968 Club Sport and a 991 GTS for the daily commute from Liskeard. In the mean time he’s more than happy with his 3.2 Boxster! When not at work, Andy’s either spending time with the family or potting balls; a mis-spent youth has proved worthwhile as he’s the current County snooker champion. Megan has been with the business for years and seen it grow from a team of 4. She is our rock. 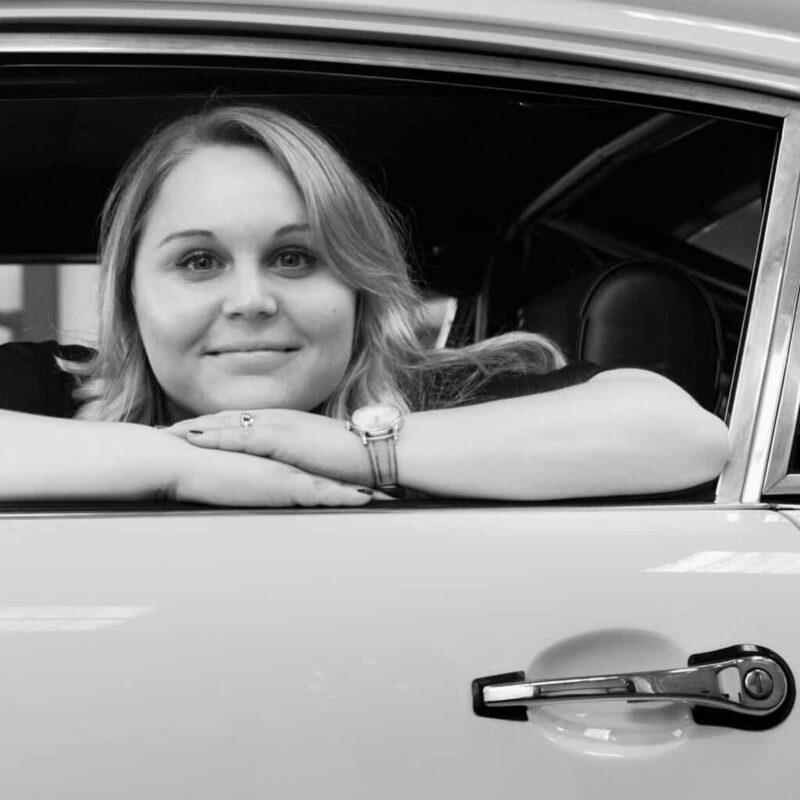 Rarely daydreaming, but when she does it could be about being behind the wheel of a 1958 Porsche 356. Kim is our main administrator and joined the team in 2015, since then she has become a much-loved member of the team. If you phone it will most likely be Kim that takes your call. She is calm in a crisis, a great person to have around and is as reliable as a good Porsche. Putting a face to the names and hearing your story, that’s part of the enjoyment in her work. Lilly is probably the bright voice that answers the phone and directs your call. She is one of the team in the admin office keeping the wheels in motion. What she enjoys most about her job? “is it too cheesy to say all of it? It may sometimes be challenging, but I like a good challenge”. Lilly’s loves modified cars, so her dream Porsche: a 930 turbo in Dark Purple or Blue. Organisation is Wendy’s thing – she knows where, when and with who. 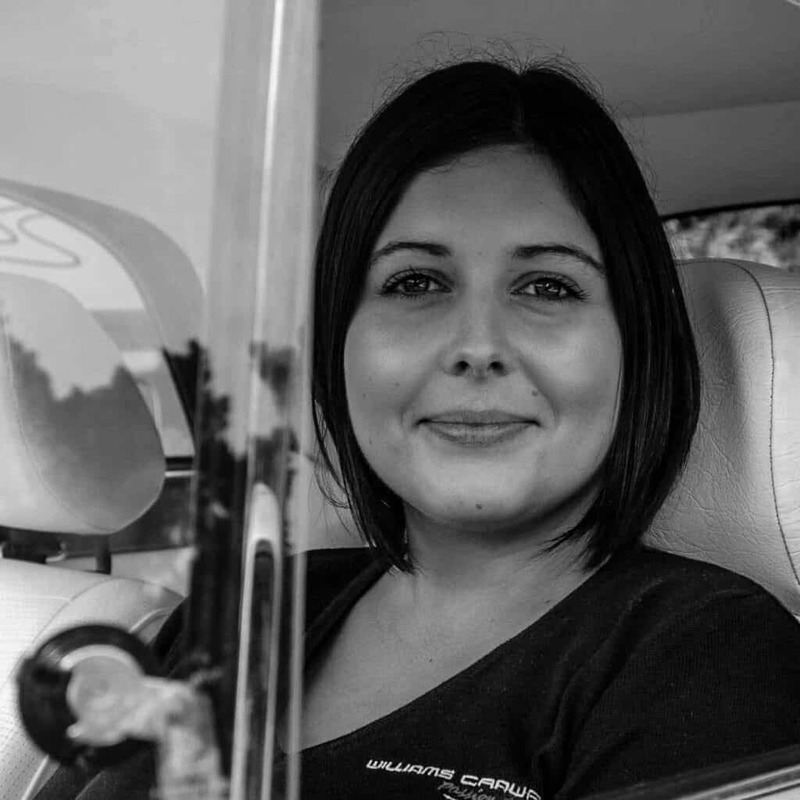 She is your first port of call when you enquire about Porsche service. She has an in depth knowledge and a calm, professional manner. Emma looks after the administration for all that happens in restoration. She will keep the history of all work done in order and keeps the team doing the hard work happy. Cheerful and bubbly but sharp with it….that’s Emma. 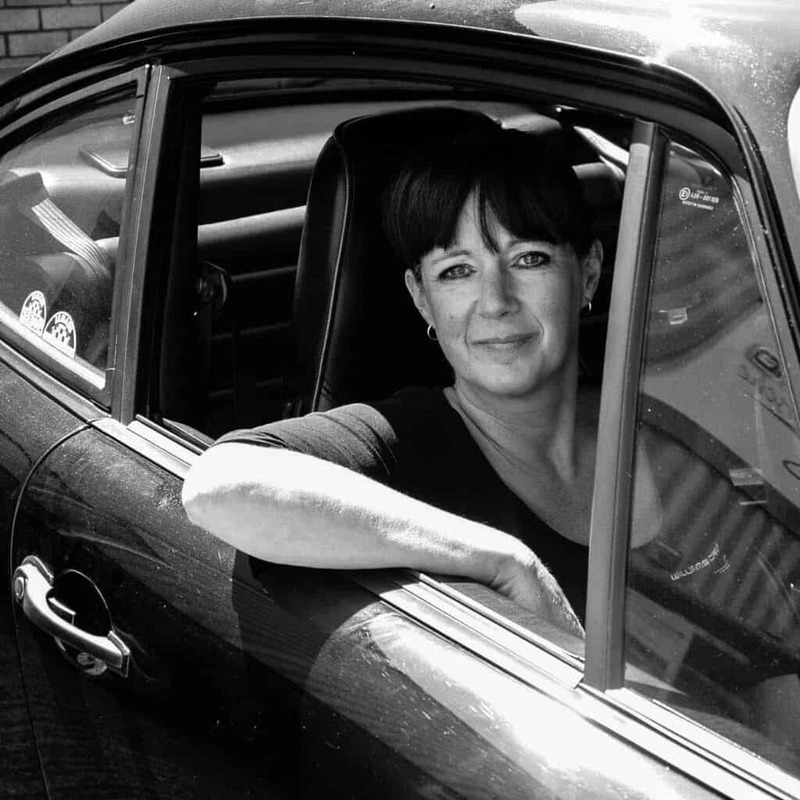 Louise is a self-confessed Petrol Head. 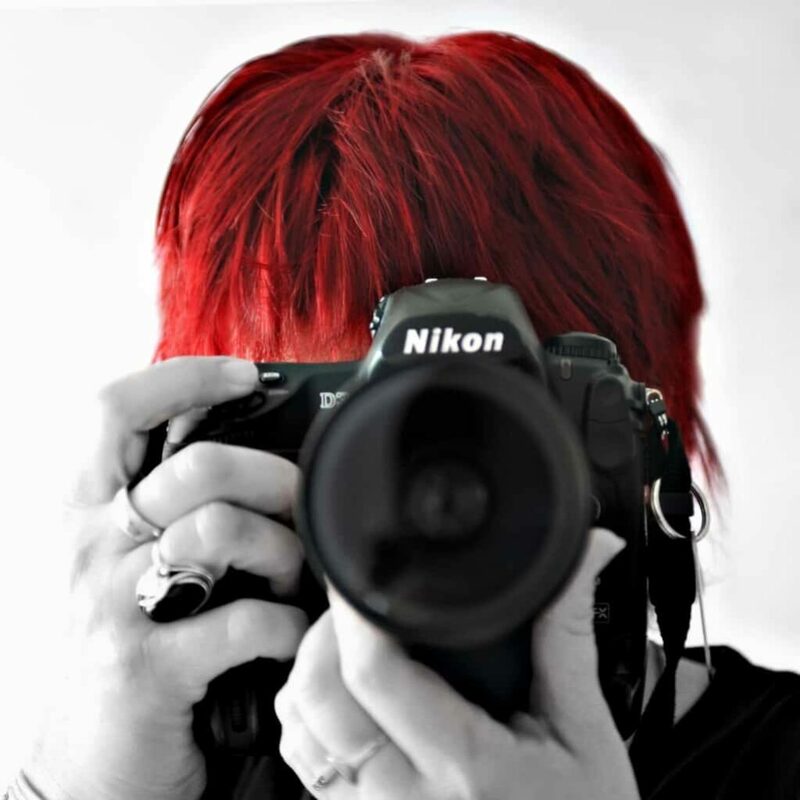 She is the lady behind the camera and often behind the words. Organised, efficient and with a great eye. It means she gets to drive most of the machinery and probably has the best job here! 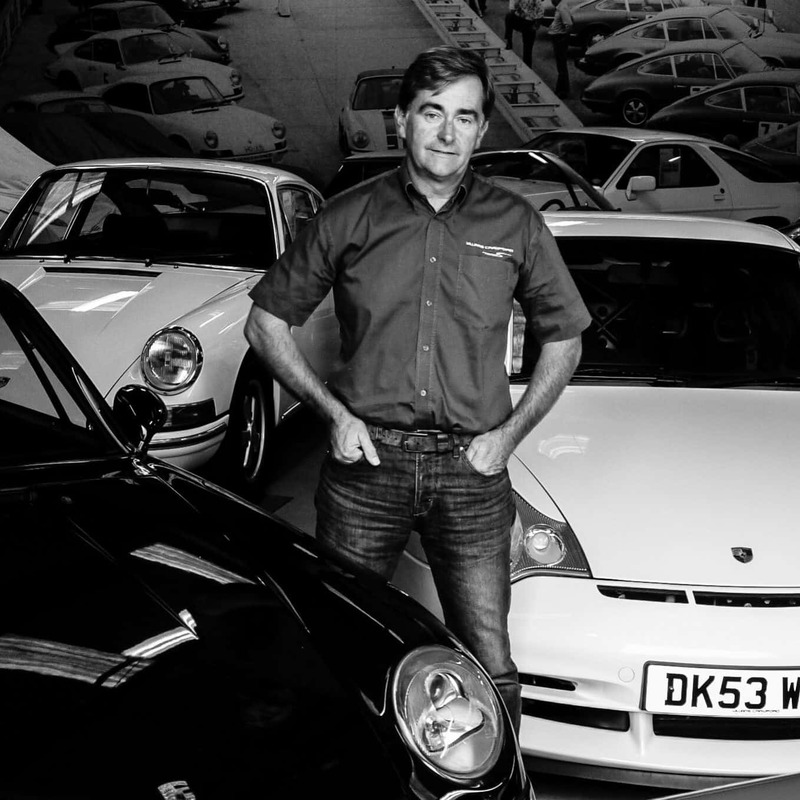 Graham is our master restorer and has 25 years experience restoring classic Porsche. He’s the sort of guy that just knows the answer no matter how obscure and is as comfortable building engines as he is repairing a 1956 356 clock or fitting a cabriolet roof. Nothing is beyond his talent. Having skills like this allow us to create World Class restorations, hot rod Porsche and bespoke builds. A craftsman, a man who cares. Watching Paul at work on an engine is a joy to behold; he is completely immersed in the build and shows an affinity with every single part he touches. With well over 30 years experience of rebuilding engines, it is obvious he is in love with the job. Very quiet and meticulous, he just gets the job done, no fuss, no frills. Exactly the right man for job. Paul is a quiet star. He performs miracles with metal, cutting out the bad bits, crafting, coaxing and stretching or shrinking into place. He is a stickler for detail and rarely stops. Metal fabrication art is what he loves to do. You can be assured that his hands will be working on your car with care and passion. Gavin is all about a keen eye for detail. Neat, clean and immensely careful. 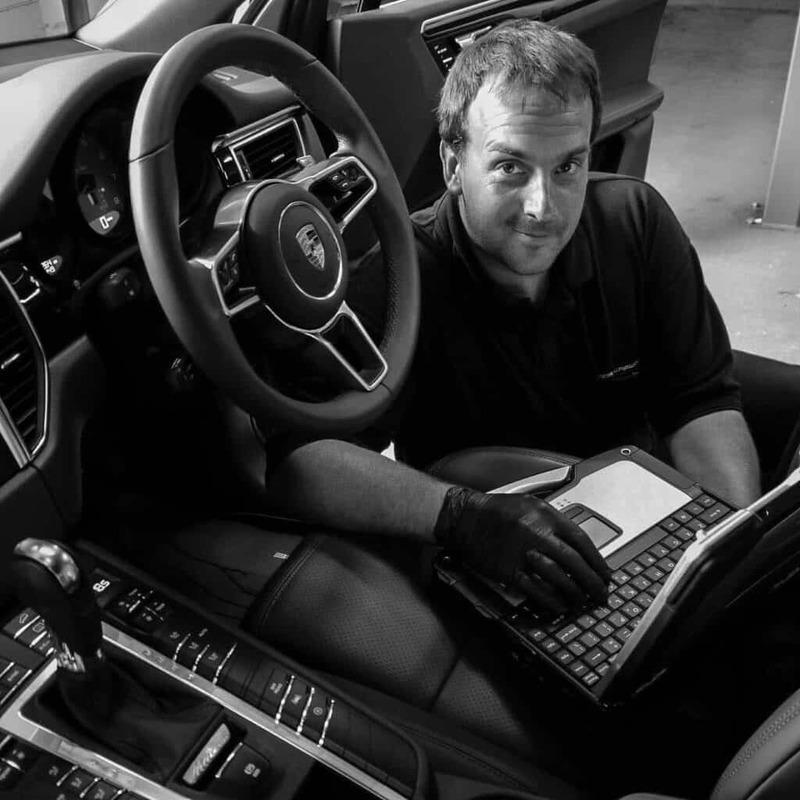 If you have a Porsche with not a mark, Gavin could disassemble it and reassemble and leave….not a mark. 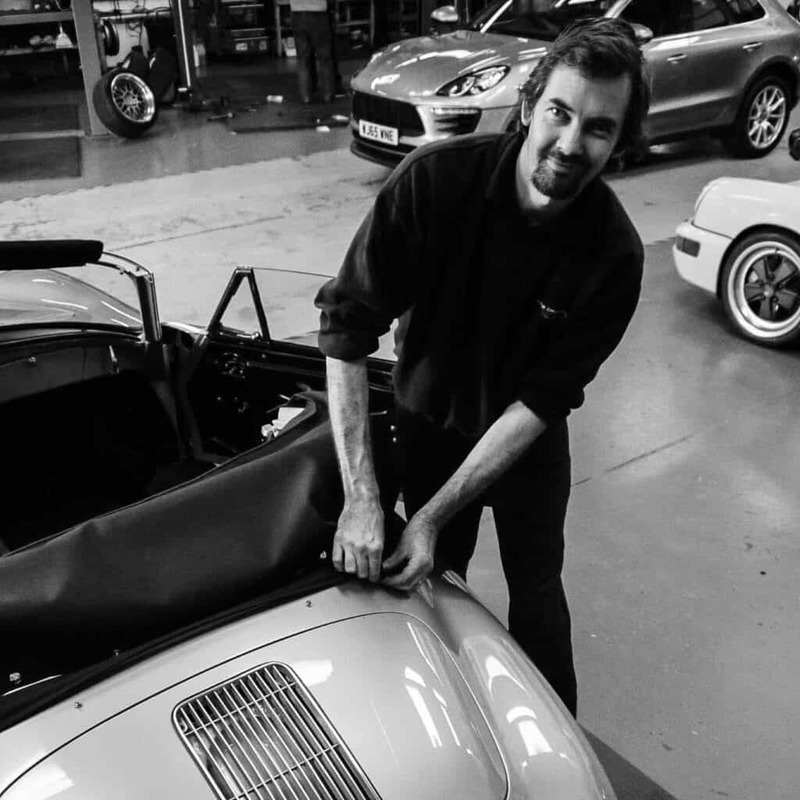 He completed a bespoke build, this was a Supercharged 964 convertible that you can see in our blog. It looked perfect. If something needs to be done really beautifully Gavin is the man for the job. He would like to build his own 964 Coupe, gulf blue, supercharged….it would be a jewel. Mark has come a full circle. 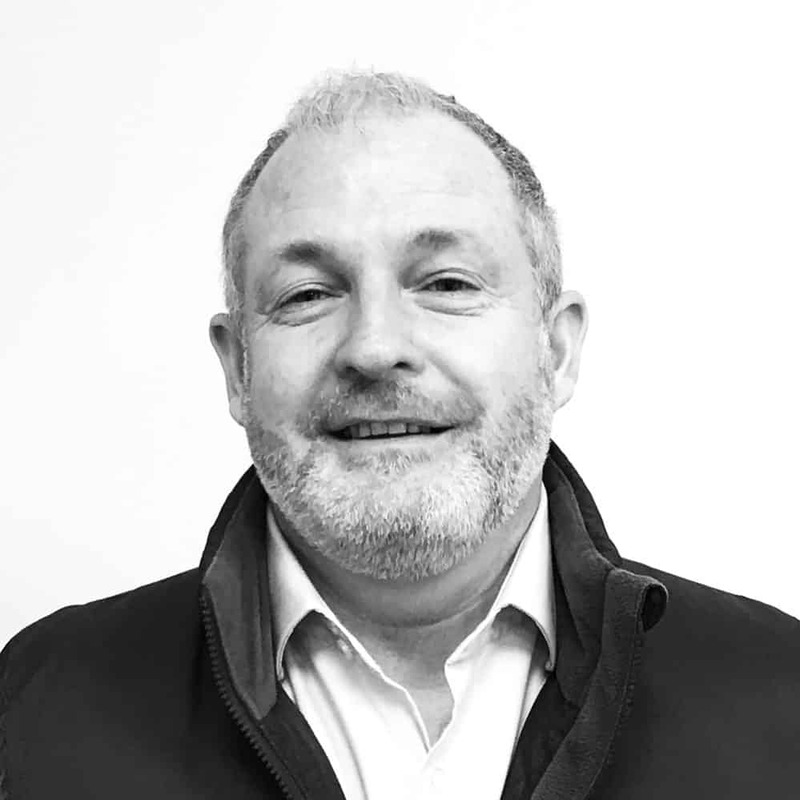 He used to work for Richard Williams when Williams Crawford were two different businesses. 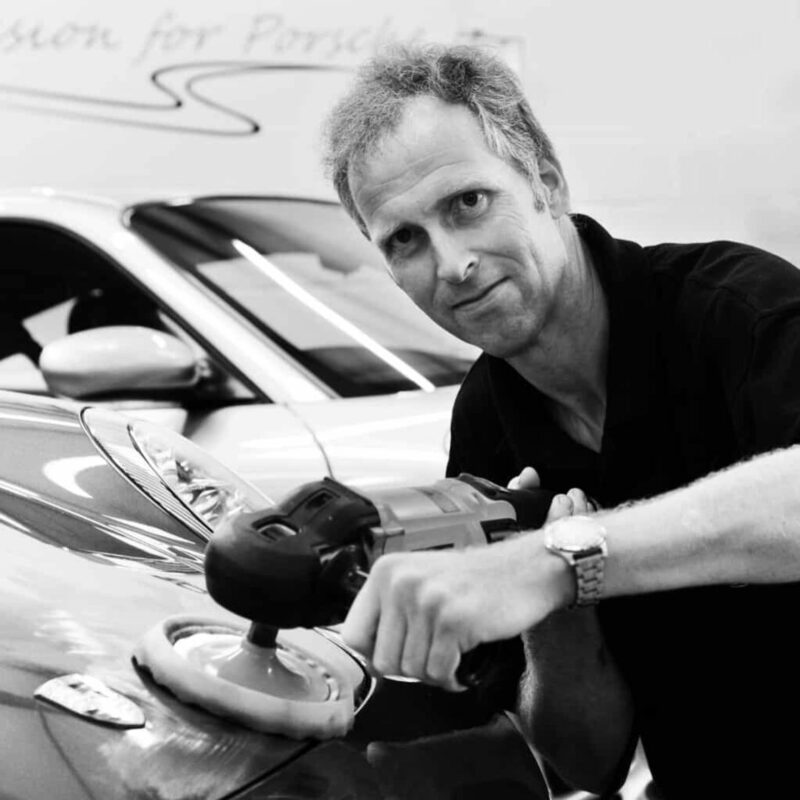 At the time, it was often Mark who worked on the Porsche that Adrian sent. He has joined us and impressed with a great can do attitude and attention to detail. Reliable as the best Porsche, you will find a cheerful, confident and conscientious technician if he is working on your car. 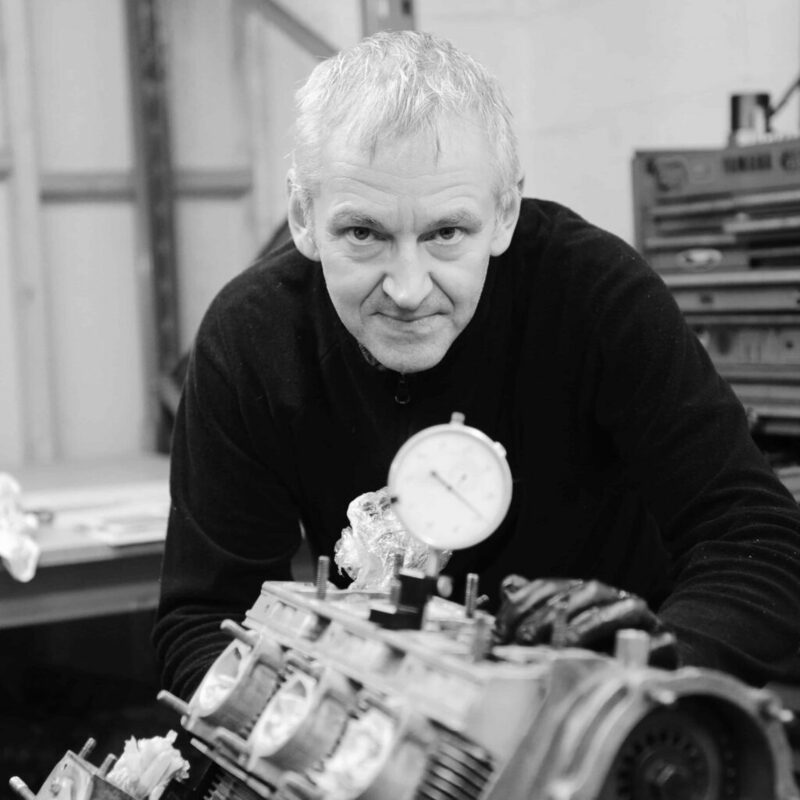 Paul has spent a considerable majority of his life working on cars and relishes the challenge of the big and dirty tasks – engines, gearboxes and the like. Working on classic Porsche has given Paul new opportunities to develop his skills further and he will be a key component in the motorsport department. Never seen without his hat! 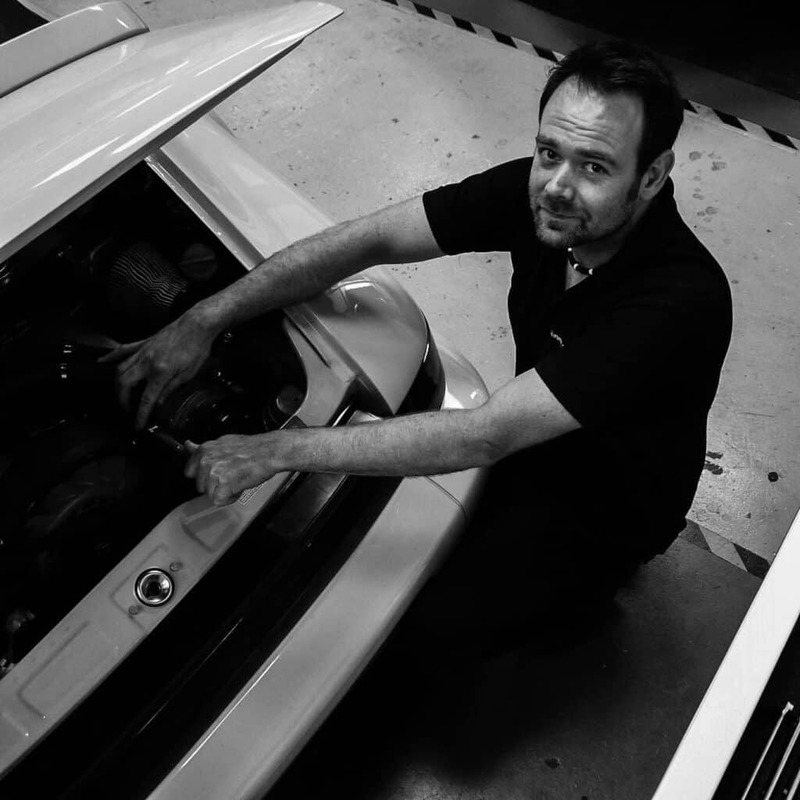 Andy is a technician with attention to detail who enjoys the chance to actually figure out solutions, to fix and repair beautiful machinery. He wanted a career where he could exercise his skills rather than be simply a fast fitter. We love the quality of work, I am sure you will too. Jamie looks after Porsche parts. Reliable, organised and a pleasure to deal with. 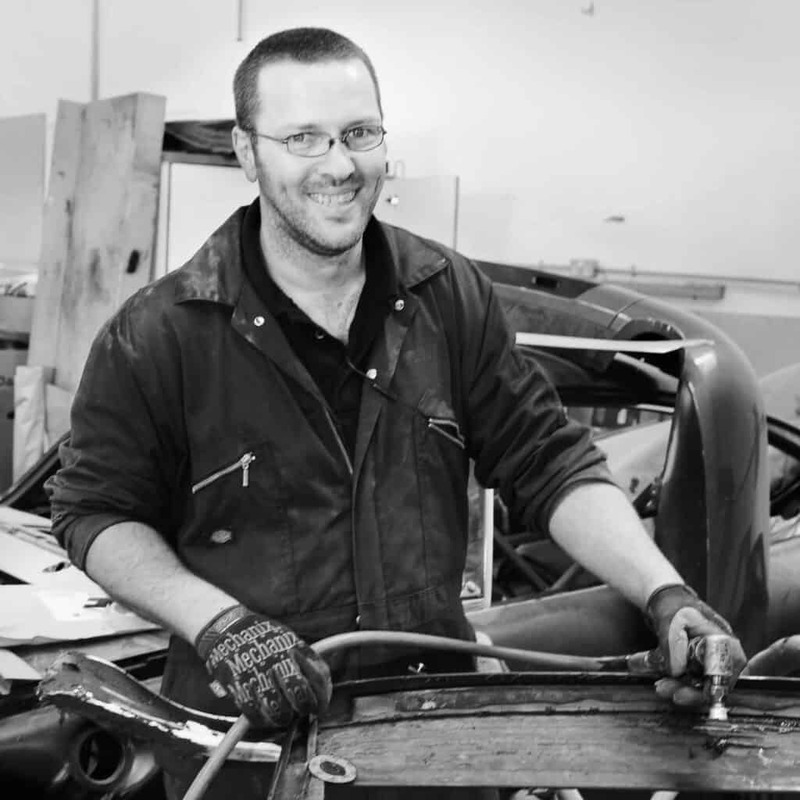 From a bolt to a body panel, he is the man who will find the part and ensure it is delivered and ready for action. 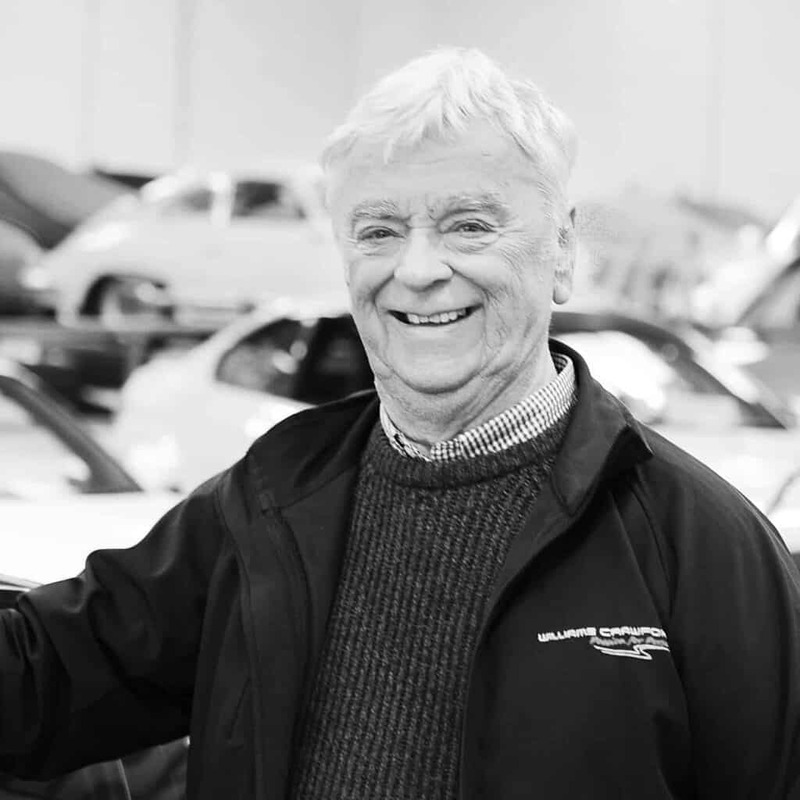 He has 70 years of Porsche to supply parts for and each Porsche has something like 4,000 parts…..that keeps him busy and he is at his best when busy. Hidden behind the scenes and working hard is Ian. He is the man who puts the cherry on the icing on the cake. All Porsche leaving us for their new lives are meticulously prepared to ensure that they make their exits in pristine condition. From a simple wash and chamois to a complete machine polish, Ian’s attention to detail and ‘no-cutting-corners’ approach results in a fantastic finish that such special cars deserve. Ian moves cars…..but for cars like this we need intelligence and care applied. This is Ian. 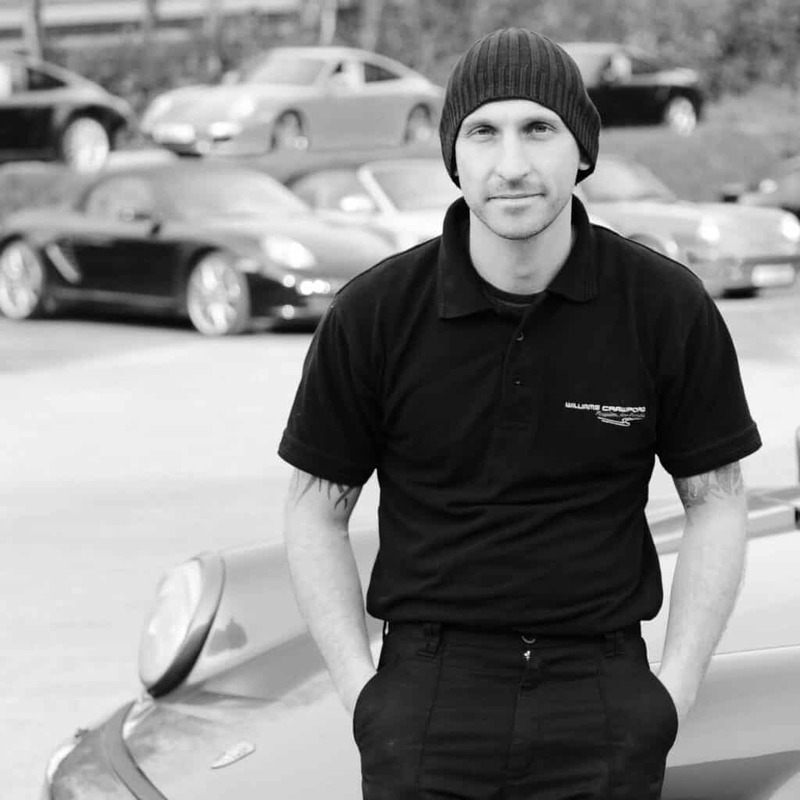 He is the gentleman that will deliver or collect your Porsche, load it with care and transport it with pride. He has decades of experience and a manner that will give confidence. Call Ian and he will do the hard work for you. 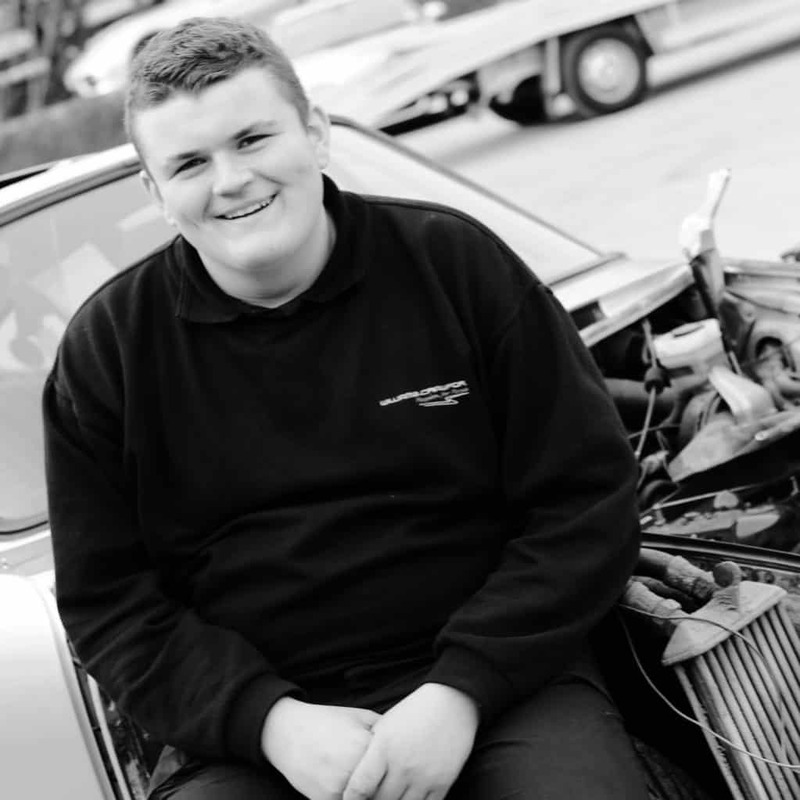 Angus is envied by all his teenage peers – he has an apprenticeship here at Williams Crawford. He works amongst some of the best cars on the planet and his respect for these vehicles and their owners is always apparent. We love Angus for his quietly cheeky personality and willingness to get stuck into whatever we throw at him. We are sure he will make a fantastic Porsche technician of the future.